handcrafted works of art that appeal to the eye, the appetite and the hip pocket. who want a personal touch. A feast for all the senses - that’s what we do. - whatever you need to create an event experience that you and your guests will enjoy and remember. 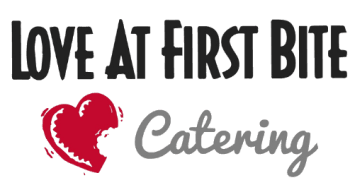 At Love at First Bite Catering, catering is a work of heart. Celebrating 35 years of catering excellence.